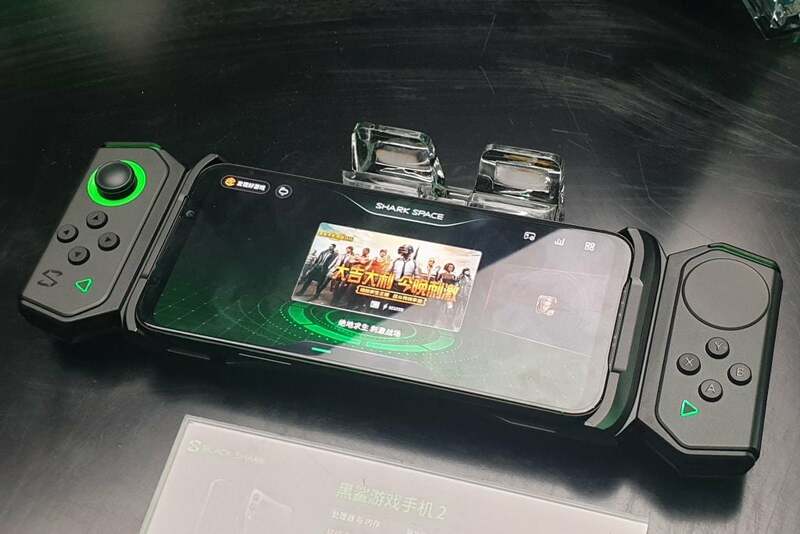 The Black Shark 2 is a Chinese-made gaming-centric smartphone, looking to compete with the likes of the Razer Phone 2 and Asus ROG Phone. Boasting a Snapdragon 855 processor and up to 12GB RAM, this may well be one of the most powerful smartphones ever created, and should effortlessly sail through mobile shooters such as PUGB Mobile. It’s not just power that the Black Shark 2 has on offer. There are a lot of exciting gaming features here, including a pressure-sensitive screen for improved control, a direct touch liquid cooling system that keeps temperatures from soaring and the world’s first X-antenna which should help to maintain a stable connection to the internet. Best of all though, are the optional clip-on controllers. You’ve got to pay extra for them but they look to be worth the additional cost since they turn the Black Shark 2 into the smartphone equivalent of the Nintendo Switch. I’m extremely impressed with what I’ve seen so far during my limited time with the Black Shark 2, especially considering the incredibly generous price. Whether the European and American markets have enough quality action-orientated mobile games to take advantage of such technology is another question completely. Perhaps this smartphone is ahead of its time, especially with Microsoft and Xbox recently talking up cloud streaming. For those who don’t know, Chinese technology company Xiaomi has placed significant investment in Black Shark, allowing the maker of the Black Shark 2 to leverage Xiaomi’s supply chain and technical expertise. The Black Shark 2 is already available in China, with a European launch confirmed to follow shortly. The exact release date for the European market is yet to be confirmed but it’s expected to be relatively soon. UK prices for the Black Shark 2 start at £360. For that, you’ll get the Snapdragon 855 processor, 6GB of RAM and 128GB of storage. That is outstandingly good value. The top-of-the-line configuration is also shockingly affordable at £475, despite having a monstrous 12GB of RAM, as well as 256GB of storage. You also get the same super-powered Snapdragon 855 processor too. 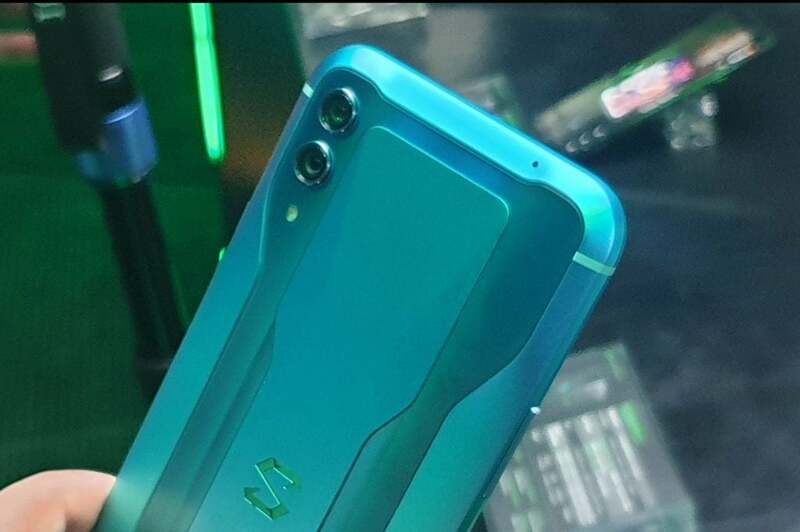 Gaming-centric smartphones have a bad habit of looking overbearingly flashy but the Black Shark 2 looks to get the balance smack on. From the front, it looks like a generic Android smartphone, just without a notch. The bezel is still incredibly thin though, looking very similar to the Samsung Galaxy S9 Plus but without the curved sides. When the light hits the Black Shark at a certain angle, you’ll also notice the reflective green strip running around the edge. It’s a subtle but lovely detail that gives this smartphone a dash of personality without being in your face. On the rear, the Black Shark 2 has a very distinctive design. Glass curves around a metal strip in the middle for a snazzy effect, bringing attention to the pulsating Black Shark logo in the centre. The two camera sensors are arranged vertically atop of the glass, completing a stylish and unique look. The Black Shark 2 goes for the minimalist approach for its buttons. There’s only a volume rocker on the left, while the right side holds the sleep button and the Shark Key toggle, which lets you activate the gaming-focused mode. Unfortunately, there’s no headphone jack, which I think is a significant issue considering owners will probably want to use their gaming headphones with a 3.5mm connection. You do get a USB-C to 3.5mm adapter bundled in the box which is really handy, but it still means you won’t be able to charge the Black Shark 2 and wear wired headphones simultaneously. You’ll also notice there’s no room for a fingerprint scanner, but Black Shark has been able to build it into the display. I’ve found it to be super responsive so far, while it also does a slick animation when activated, which I’m a big fan of. The Black Shark 2 also gives you the option of using two controllers that look and handle a lot like the Nintendo Switch’s Joy Cons. I personally think these could be a momentous addition to the mobile gaming scene as they’d potentially influence those previously unwilling to try action titles and shooters that otherwise force players to rely on awkward touchscreen controls. You do have to pay extra for these peripherals but as long as the price isn’t too extravagant – I reckon they’ll be worth the investment. The Black Shark 2 flaunts a rather sizeable 6.39-inch AMOLED display, coming in at a similar size to the Samsung Galaxy S10 Plus. With a 19.5:9 full-body ratio, this is a tall display, which is welcome considering you’re likely to be gaming regularly with this thing. Some fans might be disappointed that the Black Shark 2 is only capable of a Full HD+ (1080 x 2340) resolution. Representatives of Black Shark said the reason for snubbing Quad HD+ was simply because they wanted to keep costs as low as possible, which is a reasonable enough justification. They also revealed that there may well be an additional Black Shark model in the future featuring a Quad HD resolution display, which is great news if the current screen setup is a deal-breaker for you. I also found it disappointing that the refresh rate on the Black Shark 2 is only 60Hz, meaning it’s dominated by the Razer Phone 2’s 120Hz display. A high refresh rate enables smoother visual performance, which is especially important for fast-paced shooters and racing games. When Black Shark representatives were asked why this smartphone doesn’t offer a more competitive refresh rate, they cited the fact that few mobile games actually support refresh rates over 60Hz, while also detailing the difficulties of incorporating a refresh rate beyond 60Hz on an AMOLED display without driving up costs dramatically. Again, this was a reasonable explanation, since the Razer Phone 2 has an LCD display. Personally, I’d rather have an AMOLED panel than a faster refresh rate but this really depends on what kind of games you’re likely to play. With a peak brightness of 430 nits, the Black Shark 2’s display is bright enough to be visible outside in bright surroundings, so you won’t be able to blame your PlayerUnknown’s Battlegrounds deaths on screen glare. And for when you’re sitting inside in the dark, the DC Light Dimmer allows for a more comfortable viewing experience, reducing the risk of eye damage. The Black Shark 2’s display has many other gaming focused features. TrueClarity MEMC Technology processing, for example, helps to reduce judder and blur for smoother visuals. Fancy another “world record” feature? The Black Shark 2’s 43.5ms latency is apparently the lowest ever seen on a touchscreen smartphone. Low latency is incredibly important in gaming, ensuring a fast response from input in relation to what’s displayed on-screen. Gamers know every millisecond counts when playing competitively, often proving the difference between death and victory. The Black Shark 2 screen is also pressure sensitive, a technology that the Chinese company has dubbed ‘Master Touch’. Previously seen on the likes of the iPhone in the form of 3D Touch, this technology is able to differntiate a hard press from a soft tap. This means that you’ll not only be able to use your right thumb to aim your weapon, but also fire – and without having to lift your thumb off the glass. Black Shark claims this will save you at least 80ms, giving you a slight but vital edge in a firefight. Unlike with an iPhone though, the Black Shark 2 can use this ‘Master Touch’ capability on both sides of the screen, so you can map a second input to the left of the display, as well as the right. While playing PUBG, I mapped the jump command to the left-side and the trigger to the right. I was pleasantly surprised by how quickly it took me to adapt to this new control mechanism, which immediately felt more intuitive than traditional on-screen buttons. Master Touch is fully customisable too, so you can set up the best control layout to suit your play style. This is where things get exciting. The most powerful Black Shark 2 model boasts an ultra-speedy Qualcomm Snapdragon 855 CPU, putting it in line with AAA smartphones such as the Samsung Galaxy S10. That’s seemingly still not enough speed for Black Shark though, with a stonking dual-channel 12GB RAM greasing things up for even more power and fluidity. Additionally, there’s a generous 256GB storage on board so you can download all your favourite games. With all these specs maxed out, the Black Shark 2 costs £475, which still comes in as surprisingly good value. If you’d rather cut corners on the performance in order to hammer down the price, there’s also a configuration of the Black Shark 2 with 6GB RAM and 128GB storage. There’s surprisingly no compromise with the processor though, with Snapdragon 855 SoC still in tact. How much are you saving by going for this cheaper model? A whopping £115, taking the cost down to £360, which is near enough budget territory. Ludicrous Mode, meanwhile, seems to be aptly named, releasing all of the smartphone’s CPU might once activated for rocket-powered performance. The Black Shark 2 is supposedly the only smartphone in the world that can see such a massive hike in performance without seeing a drop in the frame rate, which is essential for gamers who want super-smooth visuals. Worried that such blistering power could result in a phone so hot you could have sworn you must have left in the microwave? Black Shark seems confident this won’t be the case thanks to its multi-layer liquid cooling system. This is the reportedly the first smartphone to boast such technology but that also means I can’t comment on whether it actually works efficiently until I’ve conducted a full test. The Black Shark 2 has the makings of one of the most powerful smartphones on the market. Unfortunately, I haven’t yet got the benchmark figures to back this up. I will be conducting tests soon though, so stay tuned for our full review where you can see exactly how this smartphone compares to the competition. When it comes to mobile games, it’s not just raw power that affects performance. Whether you’re an addict of Fortnite, Super Mario Run or Pokemon GO, you’ll know a stable internet connection is essential for a slick experience. For this reason, the Black Shark 2 has been fitted with an ‘X-type Smart Antenna’, as well as two more antennas on the side so you can maintain a strong network connection regardless which way you’re holding the smartphone. Of course, you’re gonna need a beefy battery to keep this smartphone chugging along as you abuse it with gaming all day. Fortunately, Black Shark has fitted a whopping 4000mAh cell into this smartphone. This is supposedly capable of delivering up to five hours of intensive gaming. 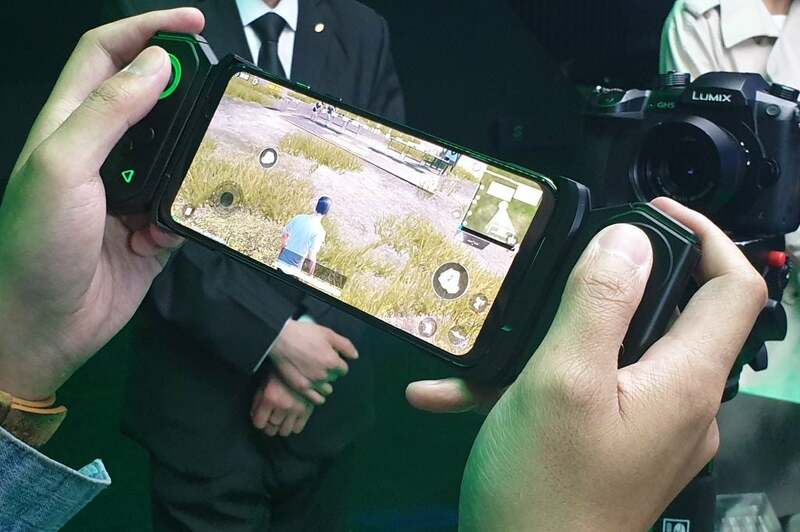 This may not sound much but few phones can do better if you’re constantly playing the likes of PUBG on the go. For comparison, the Razer Phone 2 averages around 4 hours of battery life for intensive gaming. Of course, I’ll need to test the Black Shark 2 myself to see whether its reported figures are accurate. Equally as impressive, the Black Shark 2 also supports Qualcomm Quick Charge for, you guessed it, super-speedy charging. Black Shark claims that just 5 minutes of juice-up time will result in a staggering 30 minutes of play. The Black Shark 2 appears to use a near-stock flavour of Android for its software. Swipe up and you’ll bring up the apps drawer, so you can access the likes of Facebook, Twitter and your emails. Of course, you can also drag your favourite apps to the homescreen for easy access. It’s all very simple and easy to navigate, while also giving enough customisation options for you to personalise your setup. It’s impossible not to mention the Shark Space when talking about software. The Shark Key on the side, which could easily be mistaken for a mute toggle, provides easy access to this gaming-focused mode. When activated, the Black Shark 2 feels like a dedicated gaming device, complete with its own gamified intro animation. Within this space, you’ve got instant access to all of your mobile games, while you can also temporarily turn the call function off so it doesn’t interrupt your gaming time. Drag down from the top-right corner of the phone when in Shark Space mode or playing a game, and you’ll bring up the Gamer Studio. Here you can tweak settings, connect your controllers, set up a Wi-Fi connection and even summon a performance monitor which shows what framerate your game is running at. Black Shark really has thought of it all on the software side when it comes to gaming, making this smartphone feel like a premium portable gaming device. If the Black Shark has cut corners anywhere you’d certainly expect it to be the camera. 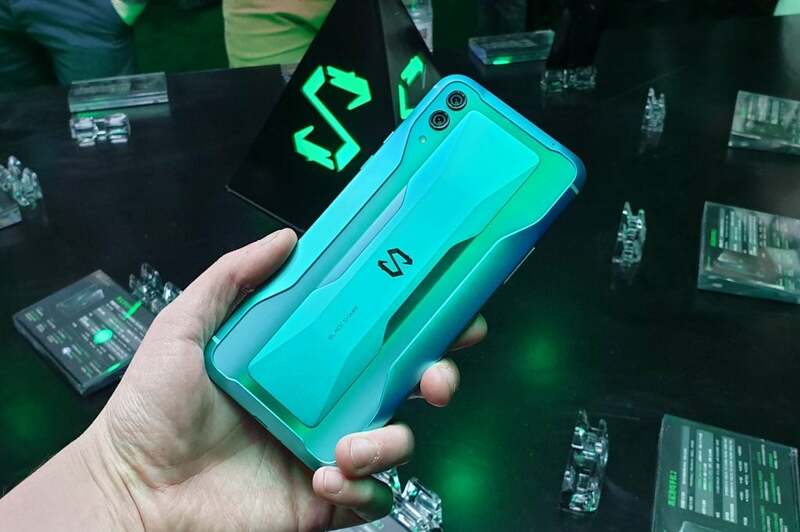 During the launch event Black Shark hardly even mentioned its snappers, which isn’t really a surprise since this is a gaming-focused smartphone. That said, the Black Shark 2’s cameras are still very respectable, which was pleasantly surprising. On the rear, there’s a dual-lens camera with both lenses claiming a 12-megapixel sensor each. The secondary camera also has a 2x optical zoom, helping to prevent zoomed-in shots looking distorted and blurry. Enough of the specs, how does the rear camera perform? Pretty darn well to be honest. This was never going to compete with AAA smartphones that specialise in photography but it wasn’t too far off the quality of my Samsung Galaxy S9. Colours are eye-pleasingly vivid and while detail isn’t pinpoint accurate, it should prove crisp enough to please most. The Black Shark 2’s captured shots that looked noticeably brighter than they do with my Galaxy S9. The camera’s software seems to artificially brighten the image, which isn’t necessarily a negative thing unless you’re really keen on natural tones. In terms of selfies, the Black Shark 2 once again exceeded my expectations. There’s a 20-megapixel sensor here which results in really detailed and expressive shots. It’s far better than what the Galaxy S9 is capable of. The optional portrait mode will also blur out the background, so your face can take centre stage. Again, images look really bright here, but not to the extent that they look oversaturated. The Black Magic 2 is also capable of Full HD and 4K video shooting at 30fps. Video seemed to look decent but nothing special in all honesty. Admittedly, I’ve had a limited time trying out the cameras but will offer more insight come the final review. Are you tempted by this affordable ultra-powerful gaming smartphone? Let us know on social @TrustedReviews. The post Black Shark 2 hands-on review appeared first on Trusted Reviews.